For secure data exchange, we recommend using one of the many Managed File Transfer (MFT) solutions or an Enterprise File Synchronization and Sharing (EFSS) systems as the base for your protocols. Since there are so many different options for data exchange portals, we have broken down the types of portals and the benefits of each. 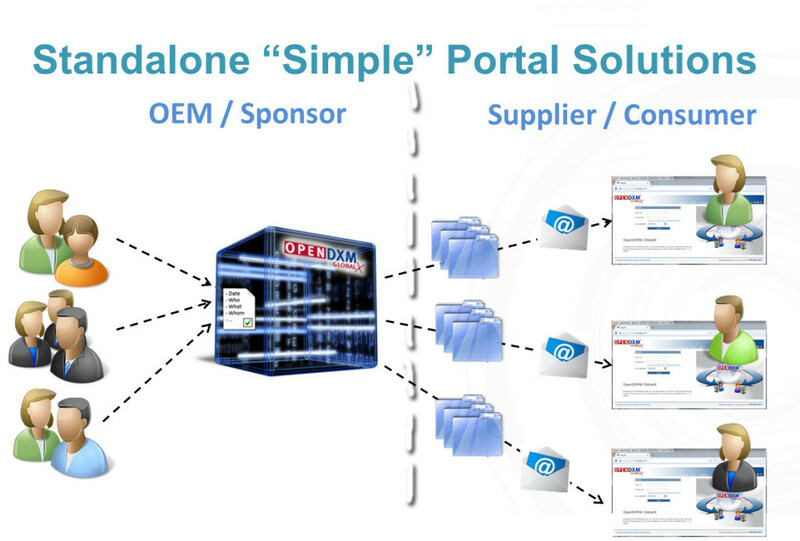 Simple Portals are great because they are quick and easy to deploy. They require simple administration, and are extremely affordable (sometimes free). They have good basic security (outside of email security) and are often hosted outside of the company. On the other hand, simple portals are not integrated, and can be less convenient for the end users to easily use. They can also be hard to customize, and the monthly fees for users (if any) can add up quickly. 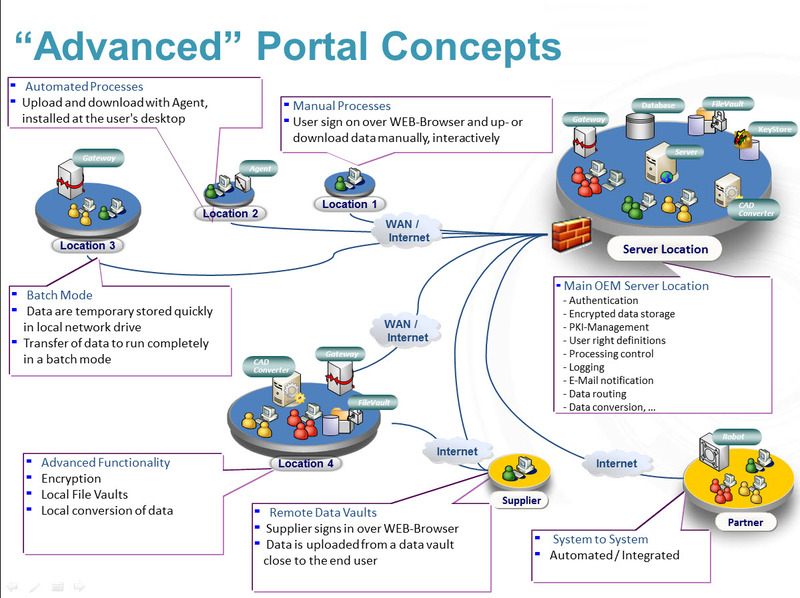 Advanced portal concepts is the other kind of portal available for secure data exchange. They are deeply integrated into back – end systems and existing processes, and are fully automated and can work behind the scenes. This type of portal is installed in the enterprise or the cloud, can be centralized or distributed and are designed to be customized. 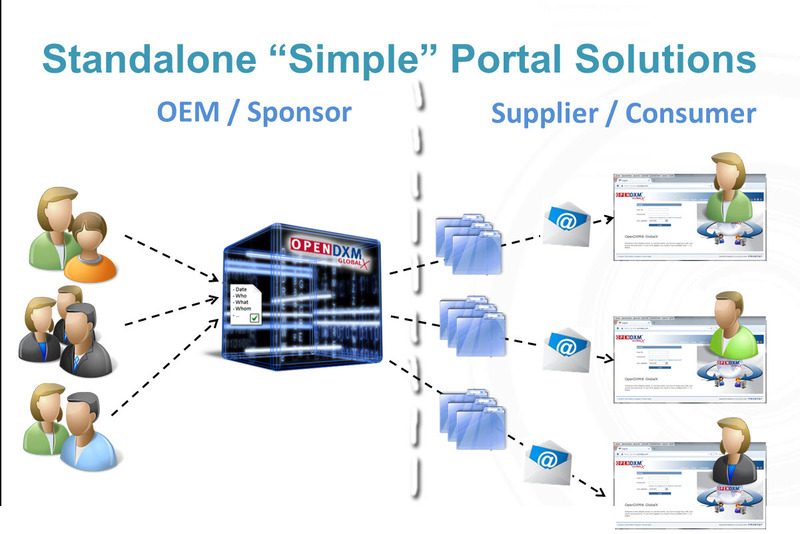 The downside to an advanced portal is that there are high upfront infrastructure costs due to its integrated nature, as well as having a large amount planning required before installation. There can also be a lot of administrative overhead after the portal is installed. 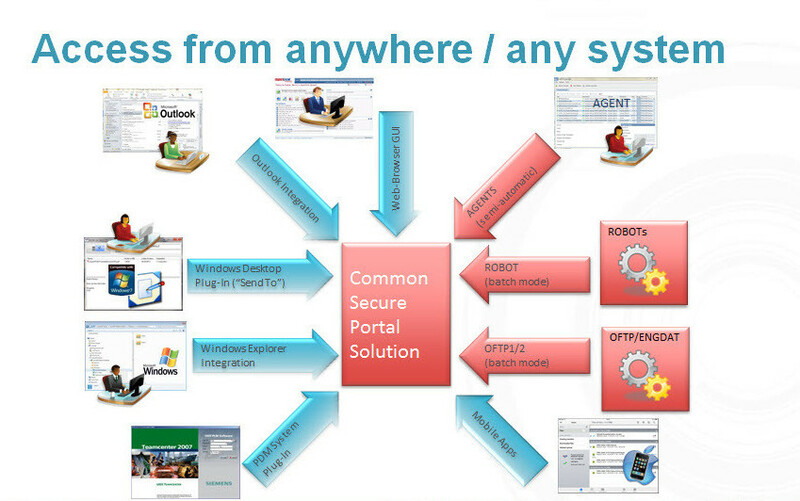 Some of the most common solutions are the ones that allow you access from anywhere and are both convenient and secure. PROSTEP OpenDXM GlobalX, Boxx, Trubiquity (recently acquired by Rocket), Autoweb, Dropbox, and DropZone are just a few of the most popular ones available on the market today. All of these options have their own strengths and weaknesses, such as the ones listed above. We recommend that you test each individually and see which data exchange solution fits your list of needs.